Location! Location! Location. 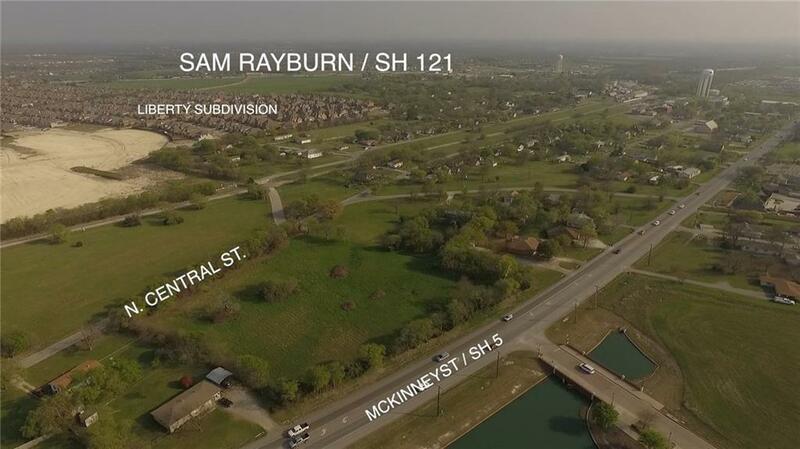 Stunning piece of property located directly across from the new Melissa City Hall. 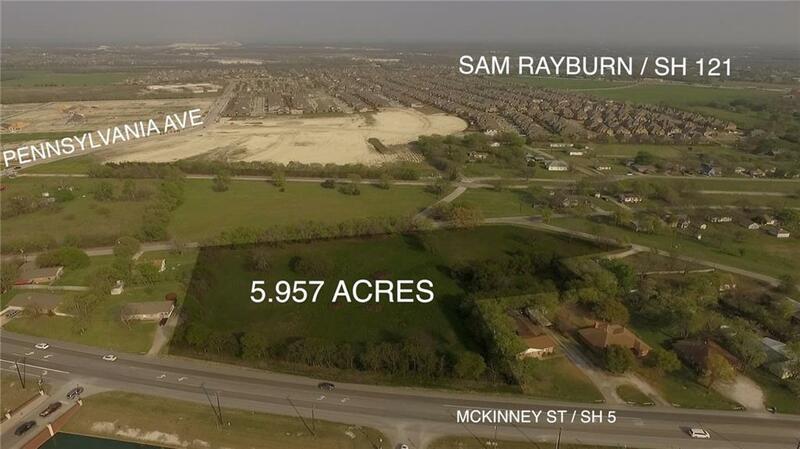 Nearly 6 acres with 396 feet of frontage on Hwy 5 as well frontage on North Central St and Park St. 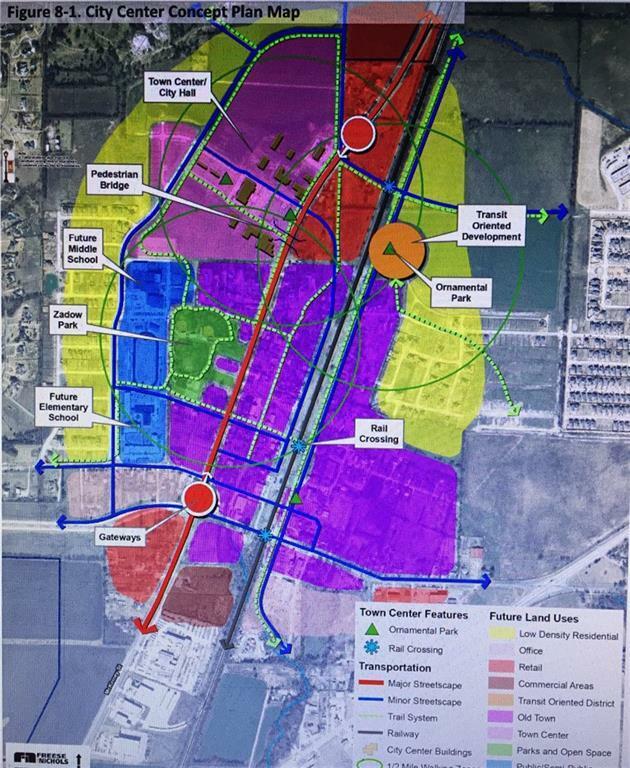 This Land is proposed for Future Retail. 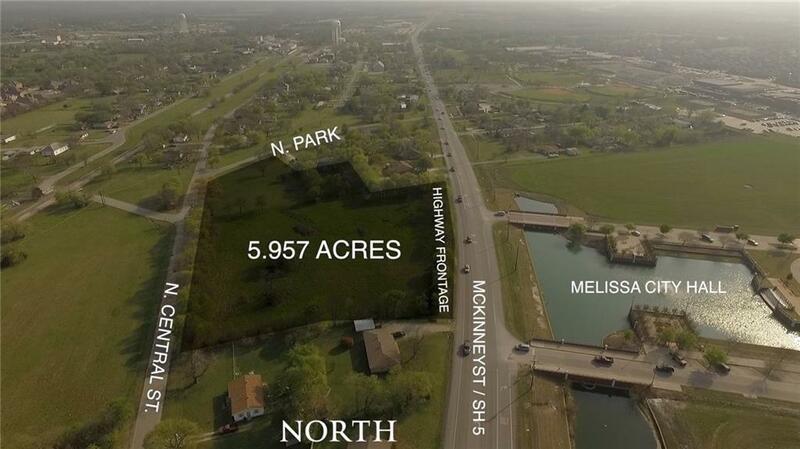 Aerial video is available in the supplements as well as a link to the 2015 City of Melissa Comprehensive Plan. TxDot Traffic count is 7,340 cars that pass this location every day.